The annual year-in-review. 2013 style. 2013 resolution: I want to run a sub 3:50 marathon, but we'll see. I'll be happy to run/jog/walk/stumble across the finish line for #5. I ran a 3:43:18 marathon in March and a 3:32:54 marathon in December, so yay! Yup, my friend Sabrina. Lots of acquaintances and old friends had babies too. Our grey tabby, Duncan, aged 17 and our black lab mix, Josie, aged 15 had to be put to sleep this year. 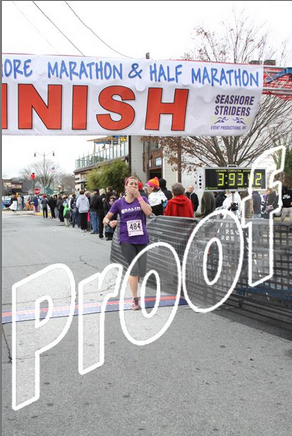 December 7th--the day I crossed the finish line of my 6th marathon and qualified for Boston. From 2012's, but it still holds true. My husband. Always. For putting up with my girlish drama, for making me laugh, for being ridiculously sweet, and for loving me unconditionally. I didn't know you could love so much more after the butterflies subsided, but I'm pretty thrilled that I get to love more with each passing day. 20. Did you fall in love in 2013? Not worrying as much about trying to get it all done. I met a bunch of Loopsters this year. 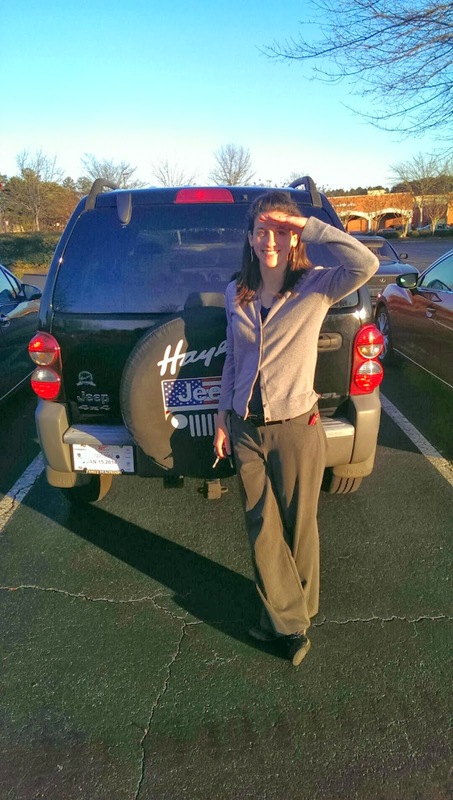 I met Sass and northernlass in Atlanta and a slew of them in Rehoboth. I also got to know my sister-in-law Maribeth a bit and hired a couple of great people I work with. -Good weather. Despite the wind, it was comfortably cold and dry. And since it monsooned the day before and snowed the day after, I'd say I completely lucked out. -Great course. Super duper flat, where have you been all my running life?! -Support from my #1 fan, Adam. I'm lucky to have a non-running spouse who gets giddy for my crazy hobby and gives me well wishes to spend a weekend in Delaware with random internet strangers. I thought long and hard about how my Garmin crashing probably was a good thing for me in the race. I think if I had known how much time I had to spare (hey, 2 minutes and 6 seconds is a lot when it hurts), I might have allowed myself to slow down in the final miles. I could have left something on the table because of it. 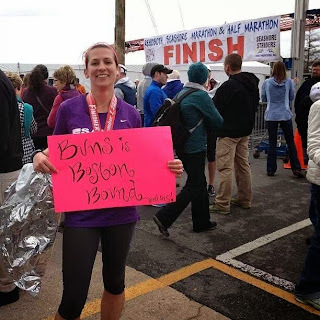 Because I ran my first marathon in just over 4 hours only a few short years ago, I am still kind of in disbelief that I actually accomplished what I set out to do. On that note, what's next while I wait for fall to loll around and names drawn for Boston 2015? 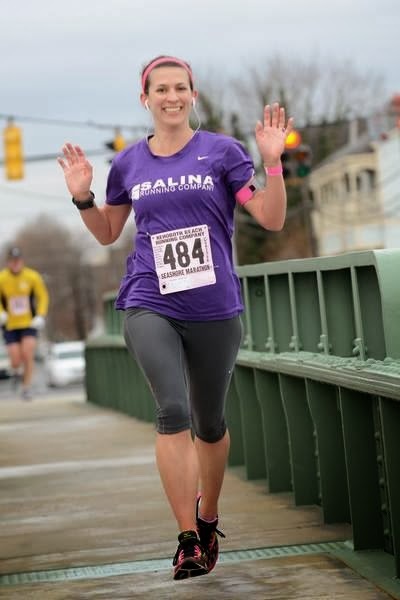 I am running the Georgia Marathon in March 2014. This will be the 5th year I've run it. 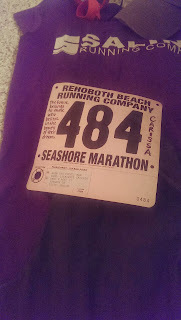 It's super hilly so I could potentially go for a course PR, but I definitely will not be aiming to topple my Rehoboth run. I will start official training the first week of January. After that? I am likely going to do The Flying Pig in May--still working on twisting Adam's arm to join me on a lovely weekend in Cincy. If I race the full, I might as well find another full to fun run to go for Maniac status right??! Not sure if I can squeeze all this in since my sister is getting married in April, but I will certainly entertain ideas as they fester in my brain. I was on track this week with 7 on Tuesday and 10 on Thursday...but got steamrolled again yesterday. More on that momentarily. First, I got into a one-person car wreck with a highway median on the Monday following the marathon. Not even 48 hours had passed. 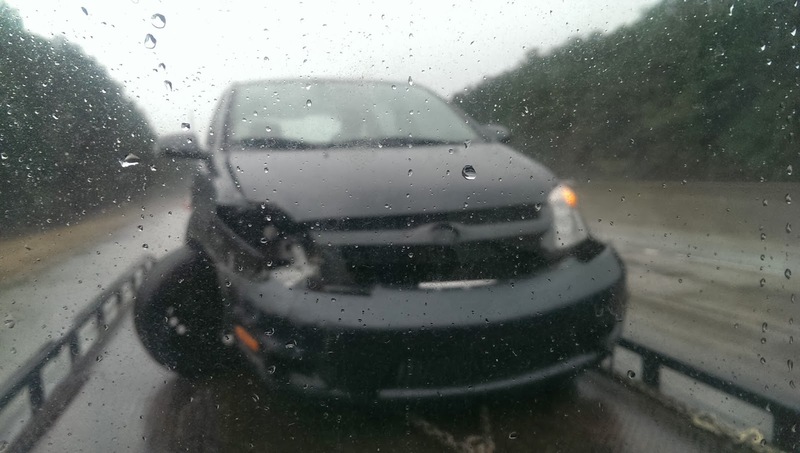 I hydroplaned on a three-lane highway in the far right lane, did a 360 into the median on the far left side, and managed to just smoosh the bejeezus out of my car. Fortunately, I didn't sustain any injuries, although my body was so wrangled from running a marathon it was hard to tell. I was kind of an emotional mess about the whole thing. It was pretty scary and after my rockin' weekend, I was having trouble processing it all. Adam fortunately helped me negotiate the insurance stuff, the car rental, and eventually the process of buying a new-to-me car. In the middle of this car-wrangling business, we had a ton of other things going on besides the normal toil of working 40 hours a week during holiday retail time. I finished Christmas shopping and started wrapping presents. 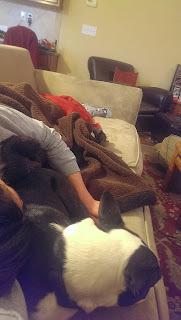 I ran errands like a crazy person on Thursday, ran 10 miles (at a 7:47 pace), and came home and crashed for 3 hours. The sickness had taken hold. If we back up this story to the week of the marathon, I will admit that I went to the Minute Clinic at CVS (my favorite in-and-out not-too-serious-diagnosis place to go in lieu of my doctor) on the Tuesday prior to the race. I had sinus pain and sniffles and was super paranoid about having a full blown sinus infection on race day. I was prescribed doxycycline for a week. By the end of Thursday, I was feeling much better and although I was still taking the meds as prescribed, I had pretty much forgotten I felt bad. I came back from Rehoboth feeling hoarse-voiced and slightly beaten. But hey, I BQ-ed and celebrated hard. Had the car wreck and then the body pain started to subside. The hoarse voice lingered, but was just more annoying than troublesome. I guess I started to feel worse on Tuesday, but I was trying to "run it out". Wednesday, I was talking to a customer and had to excuse myself to hack in the office in private because I was coughing so hard my eyes turned red. Still, I forged on and did my crazy Thursday errands-and-run-10-miles. Yesterday, I could have paid someone to take my spot at work. But we were running a huge promotion and I felt terrible if I didn't at least try to make it through the day. I felt like absolute death and I had multiple cough attacks that landed me crouched in the bathroom. Oy! I ended up leaving an hour early and after an unsuccessful trip to the Minute Clinic, I went straight to bed. Today, I finally got seen again and they prescribed me some heavier duty antibiotic. I slept for most of the day, drank lots of fluids, and rested. The only productive thing I did was firm up my Christmas Day menu and make a shopping list for it. How do you write the race report of your life (so far) ? I want it to be eloquent, poignant, inspiring, and memorable. But honestly, I F-bombed so much during the race that I'll just throw that right out the window. There is a story to be told though, so here goes. 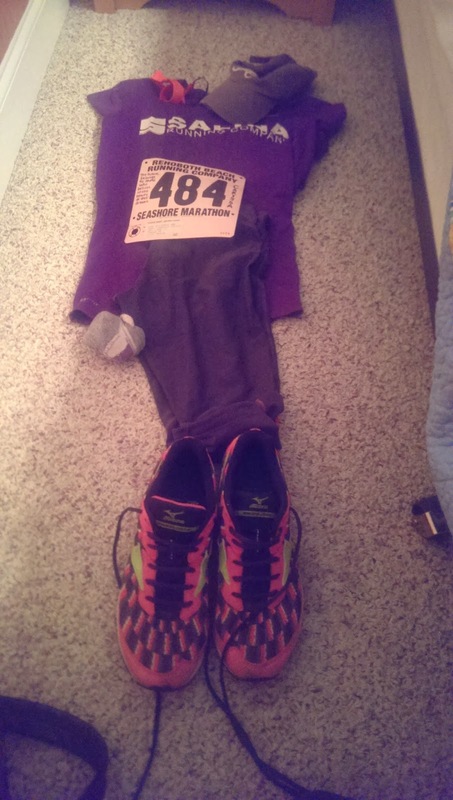 Part I is background and pre-race, Part II is the race. It is extraordinarily long, but worth it, right?! I ran an 8:08 mile in 4th grade and was the 2nd fastest girl. I liked it. I was hooked. I ran with my mixed-tape cassettes in middle school around my neighborhood. The best runs were on the dark summer nights with the Red Hot Chili Peppers. I pushed my body to a 5:49 mile my sophomore track season after recovering a short, but hospitalization-serious battle with anorexia. I was surprised my body could do strong things. In college, I discovered a routine of running a few times of week that would be my base when I made it part of my lifestyle. I slacked off for a bit and then got bitten by the bug hard again in 2006, when I decided to ramp up my fitness a few weeks before Adam and I went skiing. In 2009, after years of 25+ mile weeks and without ever racing a 5K, 10K, or a half-marathon, I decided to race my first full marathon. On 11/26/09, I ran my first marathon on Thanksgiving Day in Atlanta in 4:01:39. It was so incredibly hard and I felt pain I never felt before, but the feeling I had when I finished was unlike any other. Such accomplishment! Such glory! I signed up for another race within days. I wanted to get better and run it under 4 hours. In March 2010, I ran a 3:59:08. This race was much easier and I enjoyed the camaraderie of running in a much larger field. 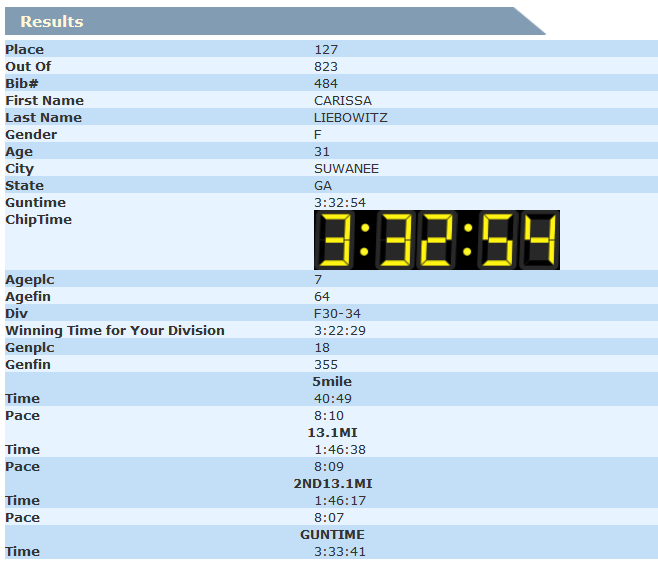 The PR train kept rolling and I ran a 3:50:36 in March 2011. Maybe I could go sub 3:50??! 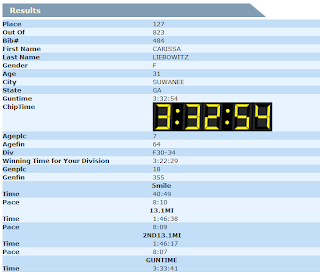 In 2012, on a hot, hot, hot Atlanta day, I took a backstep and ran a 3:52:01. Oops. Can't win 'em all. I finally raced a half-marathon in November 2012 with Flying Tomato and had a really great training cycle in early 2013. For marathon #5, I signed up for the 3:45 pace group and couldn't believe my eyes when I crossed the finish line in 3:43:18. 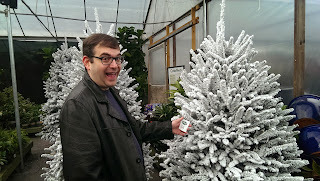 I was overwhelmed with joy. 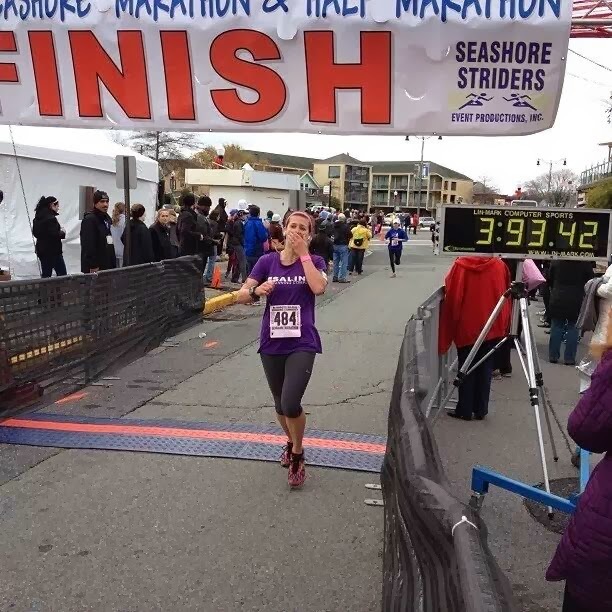 Shaving over 7 minutes off a marathon PR is a big deal! When the emotions settled and I wrapped my brain around what happened, I started festering on a new plan. 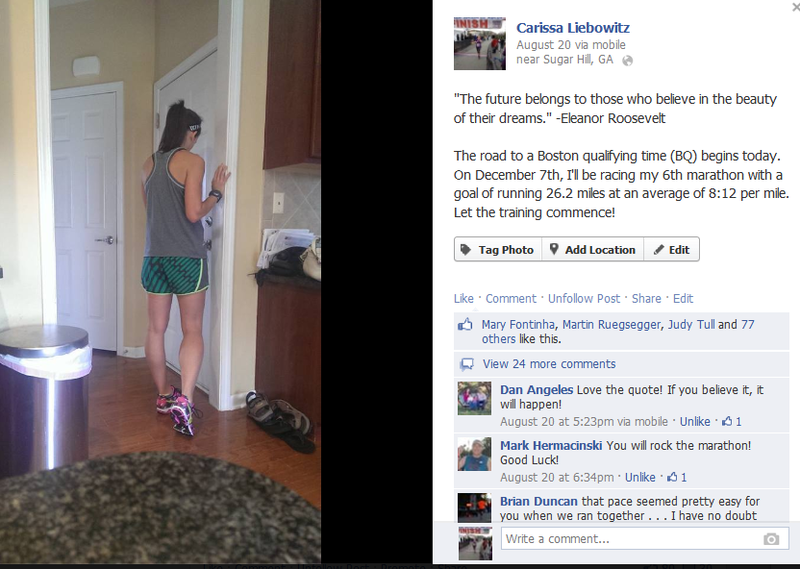 To qualify for the Boston Marathon. Women aged 18-34 must run a 3:35:00 or faster to qualify. This would be 8 minutes and 18 seconds faster than my most glorious finish. I would have to have the right training, the right weather, the right course, and the right mojo to accomplish this goal. 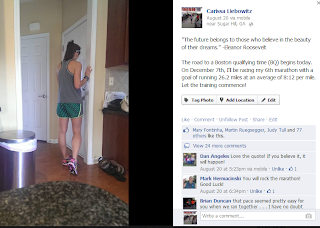 On August 12, 2013, I began my official training cycle with a 5 mile run. Fast forward through 419.6 miles of training during this cycle (and half-marathon #2) and I find myself packing on Thursday night to go chase my dream. I packed every type of running clothe I could imagine and triple-checked that I had my Garmin, my iPod, and my gels--all race day essentials. I had asked Adam to pick me up "Boston blue" nail polish at Target and sloppily painted my toes. I checked into my flight and chose seat 26B out of superstition, taking the chance that my middle seat wouldn't be a terrible choice. Friday morning, the alarm went off at 6:20am and it was time to begin the trek to my first Loopfest. 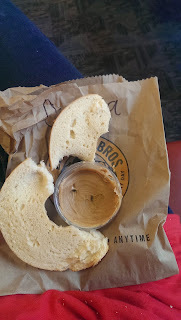 I got to the airport in plenty of time for my 10:30am flight and grabbed a bagel and coffee to enjoy while I waited. My stomach was full of knots and I was so nervous that it was really hard to read the newspaper. 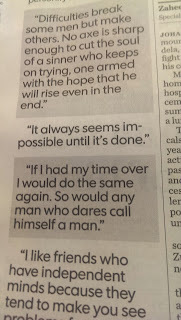 But there were some really great quotes from Nelson Mandela in the paper and I took it as a good sign. 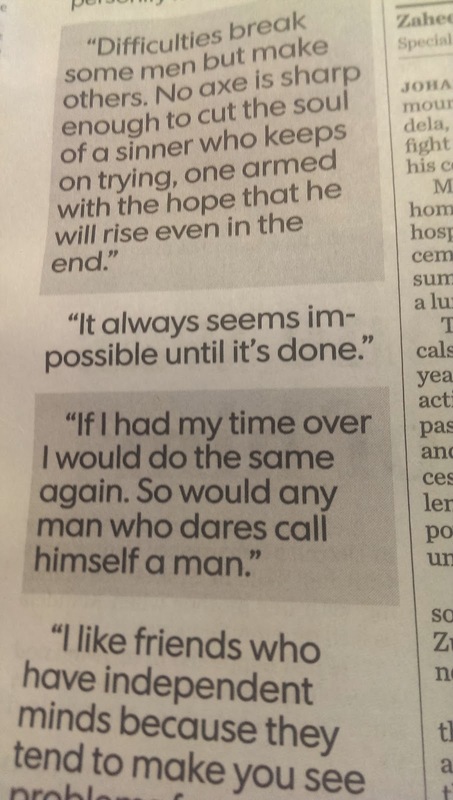 I really took to heart it always seems impossible until it's done. The plane ride was, well, interesting. I sat in front on a bunch of kids that clearly had just put the bong away and was relieved when they eventually shut up and passed out. My seatmates were fortunately unexciting. I normally enjoy an in-flight adult beverage whenever I fly, but I stuck to water. Bo-ring! The turbulence while descending was really, really bad and I am pretty sure I muttered "eff" a little too loud. I do not want to die on the way to my BQ attempt! Steve (runningplaces9919) and I were meeting at BWI and he graciously offered to take me on a drive to Rehoboth in his rental car. 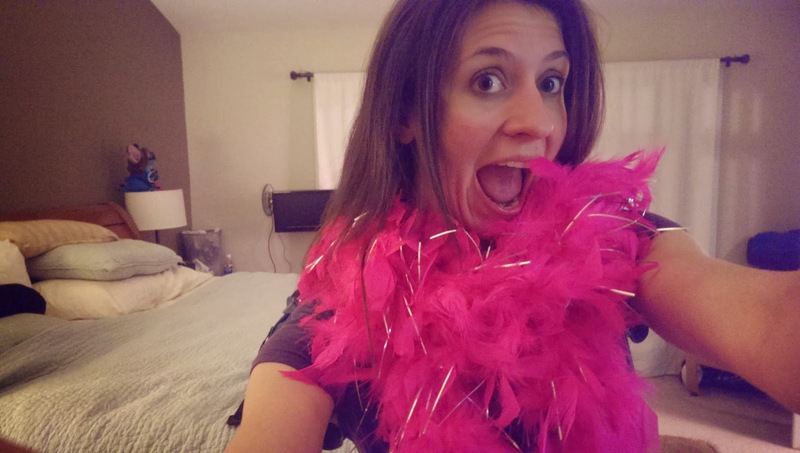 He told me he'd be wearing a brown hoodie, I told him to look for the obnoxious girl in a pink feather boa. Easy enough. Soon, we were chattering away about everything and after a shuttle bus ride and a minor hiccup in the parking garage (is this thing on?!?! ), we were road-trippin'. I played the part of the world's most unobservant navigator... We drove for quite sometime before we pulled into a Subway where somehow Steve ended up paying for my footlong sub (thanks again!!!). Seeing there was a Wal-Mart across the street, we decided to make it dinner and a show, and headed over for provisions for breakfast. I hadn't seen anything about breakfast before the race on the Facebook page so we picked up a whole bunch of bagels and cream cheese along with a few bananas. I figured someone might benefit from my small attempt to pay it forward. After toying back and forth between going to the house first or the expo first, we stopped at the tent to pick up our numbers and shirts. At the expo, we ran into Greg (ApplePie)! Yay, more Loopsters! We pulled up to the big house and I was in awe. All these people in their real-life form!!!!!!!!!! I'm pretty sure my brain exploded a little bit. They seemed to not even care that I was wearing a pink feather boa and hugging them!!!!!!!! Vanessa (VBlevins) was busy making magic in the kitchen and while everyone was crowded I went around and introduced and got introduced to all these amazing runner people that I have been internet-stalking for like, 3 years. And just as everyone has promised, they are even more awesome in person. I ate (again) a plate of spaghetti and salad and chatted with so many people. 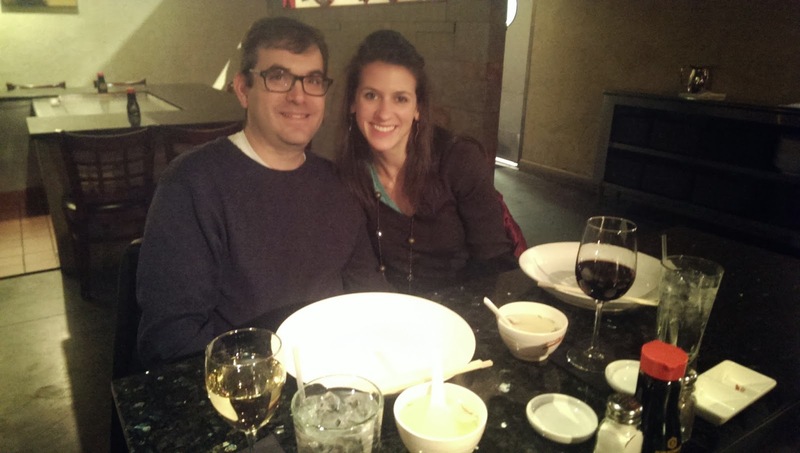 Abby and I discussed racing (her training run, my BQ attempt) over dinner. Conversation flowed naturally and I couldn't believe how incredibly natural the evening felt. Mike (Col. Cupcake) brought ridiculous cupcakes that I had been staring at through the entire meal. I sheepishly unabashedly asked if he was saving them for later and then tore into a maple bacon cupcake. Oh. Em. Gee. Later in the evening, people started heading upstairs to wind down. I went to unpack my bag, charge my electronics (iPod, Garmin, phone), and lay out my clothes. I used a Sharpie to write my now infamously-used quote from Eleanor Roosevelt the future belong to those who believe in the beauty of their dreams on my race bib. My mom used it on my senior yearbook tribute page and 13 years later I have finally put it to good use. I went back downstairs after being relieved that I had packed everything. The conversation was light and comfortable, but full of nervousness. Water glasses were being constantly refilled and salty snacks consumed. People slowly exited to try to get sleep and soon Peg and I were alone in our room, facing our big morning. I'll let her tell her own amazing story, but I will say that I was incredibly happy to be her roommate. She is as incredibly focused and strong as you can imagine, but full of grace, modesty, and as genuine of a person as you can get. Her nervous excitement was palpable and in some strange way, it actually made me feel relaxed. 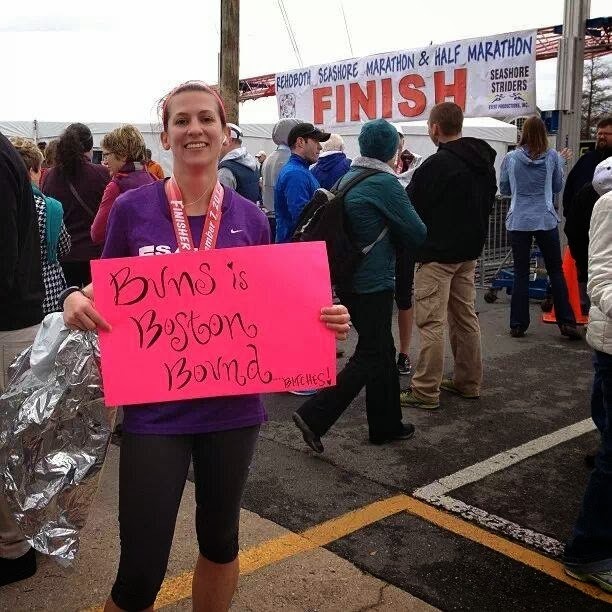 Yes, I was going to attempt to qualify for Boston, but she was chasing her own dream--to cross the finish line of her first marathon. I slept okay enough, but like a kid on Christmas morning, I got up 30 minutes before my alarm was to go off. The house was rumbling was runners plodding the floors with their morning routines. Whispers began, toilets flushed, the aroma of coffee filled the air, and anticipation grew. I went downstairs in my jammies and called off any pretense of my now-family seeing me with bedhead and sans-makeup. The extra time to get ready around other runners was luxurious. I figured out the toaster to make a bagel and thanked the Blevins' for thinking of everything including K-cups for the Keurig coffeemaker. The weather was tricky. It was misting and cold, but supposed to stop precipitating by daybreak. 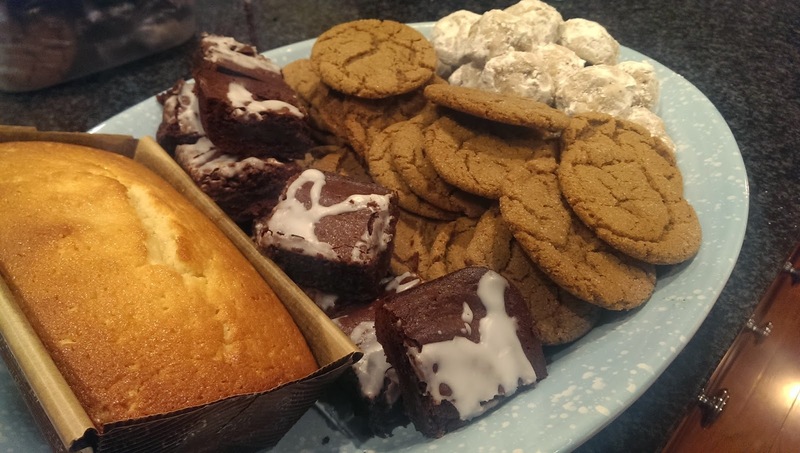 I must have stepped outside at least a half dozen times in my pjs and in my race clothes to ensure I was making the right choice. 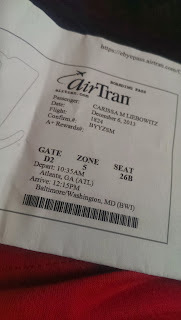 I ended up wearing my capris, a short-sleeved tech t-shirt, and a long-sleeved throwaway. Since it wasn't going to rain, I wore a headband instead of a hat. When I was dressed and ready, I went downstairs and got myself focused. 99% of the time I am an extrovert and love socializing, but this race was going to be all about me. I popped in my ear buds and got my game face on with We Own It by 2 Chainz & Wiz Khalifa. I stood in the corner of the kitchen imagining how great it was going to feel when I crossed the finish line. I followed one of the groups heading out and walked all the way to the start line before I decided that A) it was really effing cold and B) I had 12 minutes to go back to the house and pee and make it back to the start line. I hated wasting energy by walking quickly back, but I didn't want to waste more time on the course in the port-a-potty. Luckily, I got back in plenty of time to stand and listen to the national anthem right in front of the flag which was still at half-mast for the passing of Nelson Mandela. I got seriously choked up. I was standing in between Angie (zamgirl) and Steve. And then I was heading to line up. I slurped down my Espresso Gu 15 minutes too late, restarted my shuffle mix and waited for the gun to go off. 3, 2, 1 and it was go time! I clicked my Garmin on as I crossed over the start mat. With every second being precious, I tried to minimize my weaving. Somehow, miraculously, people were lined up pretty efficiently without corrals and I didn't notice too much passing/being passed. I saw Abby and Brian and then Peg and Bangle in the same clump during the first mile--the only Loopsters I saw running except Greg, Erin, and Steve who were running waaaaay ahead of me. My race strategy, which later didn't matter, was to run a few seconds below an 8:12 pace after the first mile or two of warm-up. I wanted to put a little bank in case I was hurting at the end. I wasn't too concerned if I ran the first mile a little slow as it was freezing outside and I didn't want to expend all my energy trying to build my pace. But then I wanted to really be at 8:10 or faster. Fortunately, the first mile came in at 8:15. Perfect! I was pleased as punch about my race outfit at this point. I was comfortable in my long-sleeved throwaway and everything was cooperating. 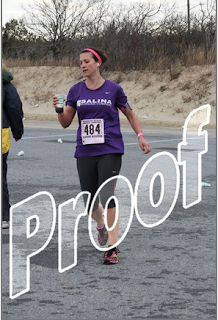 My iPod cord wasn't flailing, my shoes felt tied just tight enough, and I was happily chugging along. Second mile came in 8:06. Sweet! Probably a few seconds faster than I needed to be going, so I tried to keep an eye out on my pace. I felt some of the wind in between the 2nd and 3rd mile markers, but runners were clumped up enough that I could easily run behind someone taller. Sorry taller people. It's hard to recall exactly where, but around the midway through the second mile, the fast people started flying by in the opposite direction. I yelled go Greg! go Erin! go Steve! as they ran by. It was like someone had given me an injection of adrenaline. Mile 3 came in at 8:07. I was heading southwest at this point and starting to feel a bit warmer with the wind behind me. I saw another runner shed her throwaway and thought it would be a good point to get rid of mine too. Fortunately, it came off easily and I didn't flail too much running and stripping. I kept looking at my watch and noticed I had a few extra seconds on my side which worked out well as the first water stop was around 3.9 and I could walk through it. 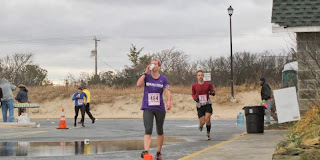 In my first marathon, I tried to keep running while drinking. I learned to be okay with taking 10 seconds to get the water actually into my throat. Mile 4 came in at 8:09. The next mile brought us back to the start/finish area and it was full of spectators. I spotted Caitlin in the crowd with her sign "Loopsters R Osom" and despite giving up a few extra steps to cross the street, I felt filled with joy to give her a high-five. This was right around that point I think. 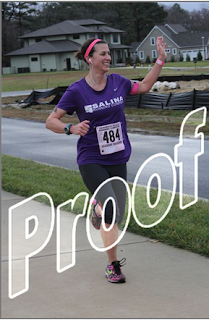 Mile 5 was in 8:02. I cruised on ahead into the next mile, taking stock of my body. I felt good and my timing was spot on. I took my second Espresso Gu. We were heading north and I started to regret tossing my shirt so early. It was c-o-l-d. The runners began to spread out a bit and I was not in a big clump of warmth. Mile 6 was in 8:11. The next mile was really, really fun. We entered a hard-packed dirt trail full of mud puddles. I know careening over to the side to schlep through the muck was not the best for my time, but it sure was fun. I saw the mud spray on the calves of runners ahead of me and smiled. I was lucky that the small pack of people I was running with was keeping a consistent pace. 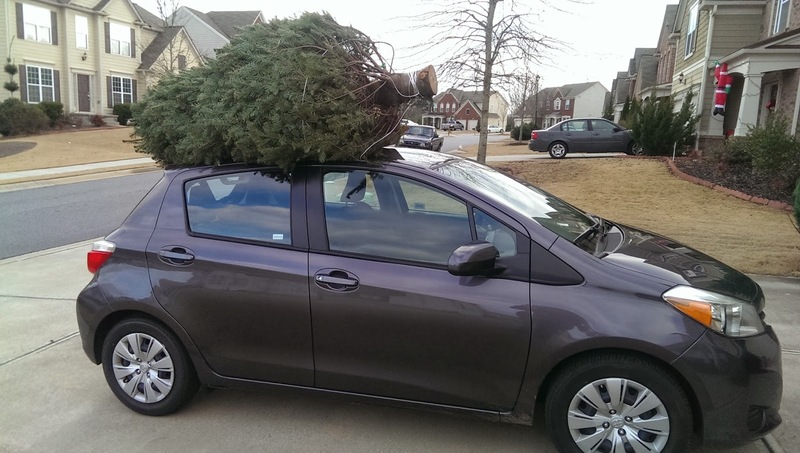 And when I needed to pass, I had plenty of room. Mile 7 was in 8:11. Plenty of faster runners were circling back from the half-marathon at this point and I saw Erin and Steve go past me once again. I was enjoying the straightaway dirt path and it felt good on my legs. Mile 8 was in 8:09. The next mile transitioned into a residential area where JROTC members lined the course. Their cold, red cheeks were no match for their stoic faces. It was really cool that they were spending their Saturday morning making sure were staying on course. I was definitely having a I'm happy to be alive moments. As I got to the end of the sidewalk, I bid adieu to the half-marathoners and found myself entering the next stage of the race. Mile 9 was in 8:07. The next mile was the beginning on the eff bombs. I was so incredibly cold. I realized that when I went to make a fist that my fingers were frozen into a curl. I tried to open and close a fist, muttering eff, eff, eff the whole time. I tucked in behind a guy for awhile, right on his footsteps to get away from the wind. He was running around the same pace and I stayed behind him for about a mile. Mile 10 was in 8:10. I took a Lime Gu and kept on trucking. This part of the course was on a flat road with lots of farmland. Zero spectators. Just running. It was cold heading north and I was beginning to feel like I wasn't just running, I was racing. Mile 11 was in 8:05. I saw a few people peel off for the port-a-potty here and there and while I did feel like I needed to pee, I wasn't about to stop. My times were just too perfect. This might actually happen. I came up over the bridge and felt strong as my quads got a nice, but short workout. I was loving that I was running the race of my dreams so far. I turned the corner and began running a long section along the highway parallel to the beach. Mile 12 was in 8:04. The highway section was pretty boring, but I was so thankful it was deliciously flat. I passed a few people and was still feeling like I might have another half marathon in me. 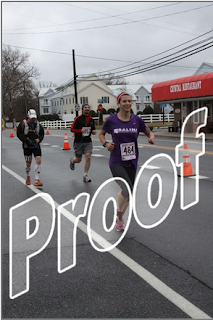 Mile 13 was in 8:02. 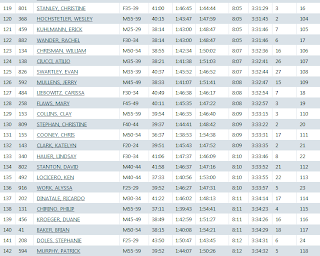 I crossed the 13.1 point in 1:46:38, averaging an 8:10 pace. I was trying to do the math in my head and all I could come up with is that I knew I was running faster than I had to. Yes! 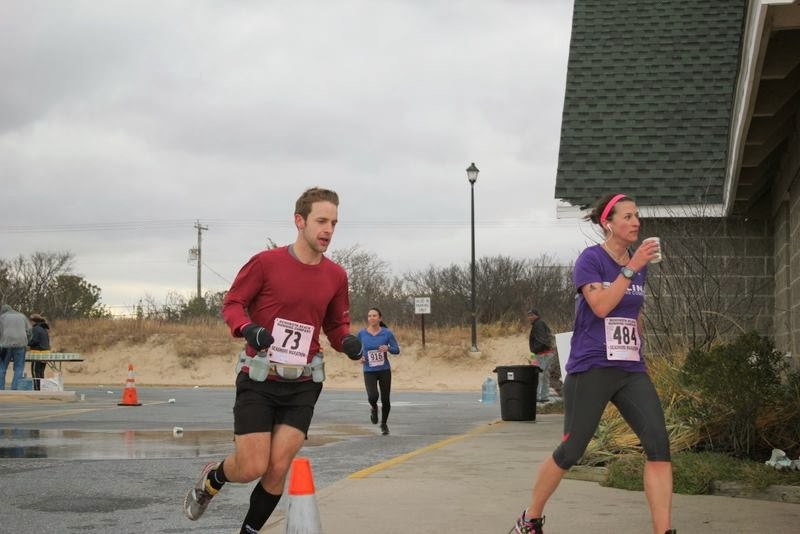 I cruised into Cape Henlopen State Park which was probably the weirdest part of the race for me for multiple reasons. There were small hills, smaller paths, out-and-back loops, and almost no spectators. The runners had really spread out at this point and there were a couple of turns that I didn't see anyone in front of me. I would panic for a brief moment that I was going the wrong way before I saw another runner. Mile 14 was in 8:08. 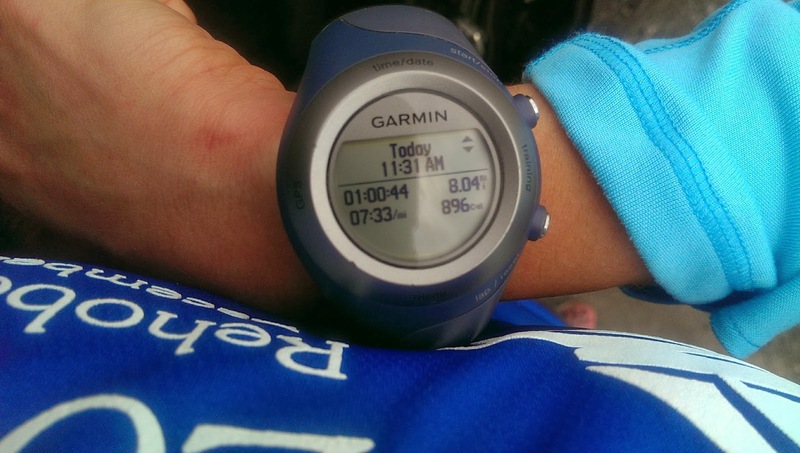 During the next mile marker, my Garmin completely died. Like D-E-A-D. I knew it was kaput, but I still tried to push the power button for a few seconds in vain. My last Garmin split was through the 14.66 mark at a 7:58 pace. Well, eff. Eff, eff, eff, eff, eff. There were no time clocks on the course and I was not talking to anyone. All my energy was for racing. So what to do??! Just run. Run as fast as I can knowing that I have just over 11 miles to go. I took my Orange Hammer Gel when I saw the 15 mile marker sign. Eff, it is sticky and hard to swallow. But I'm still passing people slowly and using their appearance of tiredness to determine how fast I'm going. I start working a bit hard. I see the mile 16 sign. Then the mile 17 sign. I come into the water stop past the 17 mile marker and holy wind Batman!!!!!!! Eff, eff, eff. I take my water, keep running a bit, and then stop to drink it. Hilarious that I waited about 25 extra feet so I could get a few great photos of me walking my BQ. Finally we get to mile 18 and I do a systems check. The course is finally headed towards the finish line. I'm feeling like I ran 18 miles, but I also feel like nothing is inherently hurting. I start to wonder if I should take a gel early to give myself some more energy. I see the mile 19 sign and tell myself it is just 7 more miles. I got this. I take my last gel, a Vanilla Gu and cross back over the bridge. I'm finally feeling a bit of tailwind, but there is a guy that is doing a rabbit and hare thing with me. It is totally messing with my head. He is speeding past me and then stops to walk. I plod along, passing him back and soon, he comes raring past me again. I see the mile 20 sign and am feeling nervous. I feel like I am still running around the same pace, but it's getting harder. There is a woman with really great looking form who passes me slowly and I keep her in my sights. I figure she must be rockin' a negative split. There is a Roctane Gu station and although I just had a gel, I take one anyway, tear it open, and delight in its' pineapple deliciousness. Oh yeah, just what I needed! 10K to go. Now I am frantically beginning my search for a familiar face. I am hoping I see a spectator that I recognize. I need someone or something to tell me that it is possible that I still have a chance. But no one is there. It is up to me to do this. My mantra becomes: You have to want this. And I do. I fight hard through mile 21, 22, 23 just holding steady to the runners around me who are slowly starting to fall back. I'm passing more than being passed and hoping, hoping, hoping. I have no clue if I'm running a 3:50 marathon or a 3:30 marathon. I just know that I'm still pushing through the self-doubt. I'm pushing through the pain. I'm telling myself that I have this perfect opportunity laid out and I better not give it anything less than my best. You have to want this. I realize once I get to the mile 24 sign that I can run those 2.2 miles. No walking, no slowing down, I'm racing. I force myself to pull out of a shuffle and begin to kick. It's going to hurt, but I don't want to leave anything on the table. I want to make sure every single second counts. I hit the mile 25 sign and then the mile 12 sign for the half-marathoners. I just want to know so badly if I am close. Do I still have a shot? Doesn't matter. I start inching to the finish. I cross over the weird grated bridge because I don't want to spend any extra seconds hopping onto the sidewalk. I am frantically looking for faces in the crowd, but I see no one I know. I see him, he sees me and his face gives me no indication if I am running a great race or a terrible one. I just want to know what the time clock says. I come around past the mile 26 sign. I had no idea that Steve was taking pictures and I am just working and fighting. When I came around the bend and I saw the finish clock, I couldn't believe my eyes. Gun time is slower than chip time and there was a 3:33 on that clock. I DID IT!!!!!!! I really, really, really did it!!!!!!!!!!! Angela, my dear, dear friend from the D.C. area had gotten up super early with her boyfriend to meet me at the finish line. 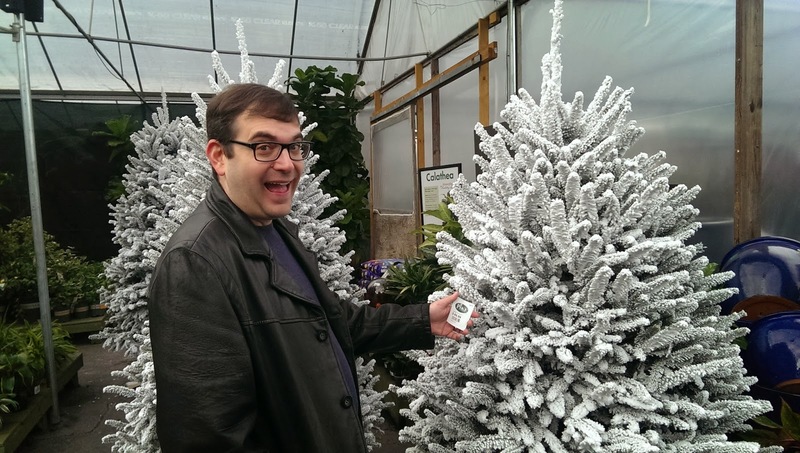 She got the best shot of me that completely encapsulates my elation and surprise. I collapsed into her arms and sobbed uncontrollably. My dreams, big as they were, really just came true. I was beside myself. 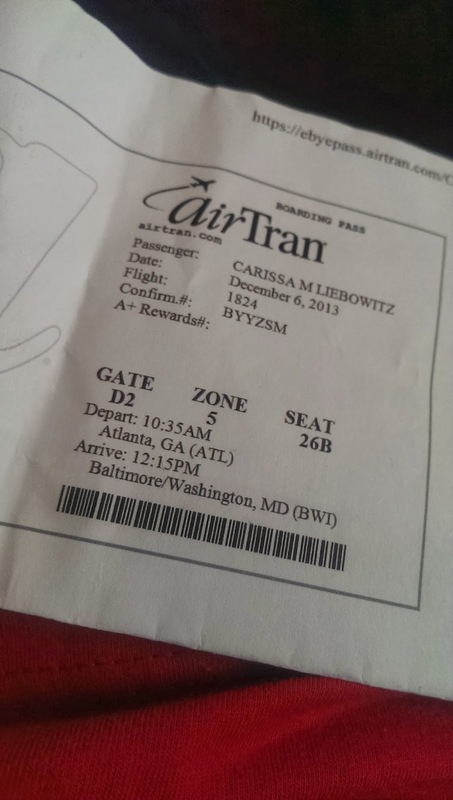 I couldn't believe I was Boston bound! The cold, hard numbers don't lie. Somehow I still managed to run a negative split race within mere seconds between halves without my Garmin. And squeaked under the 3:35:00 mark with 2 minutes to spare. 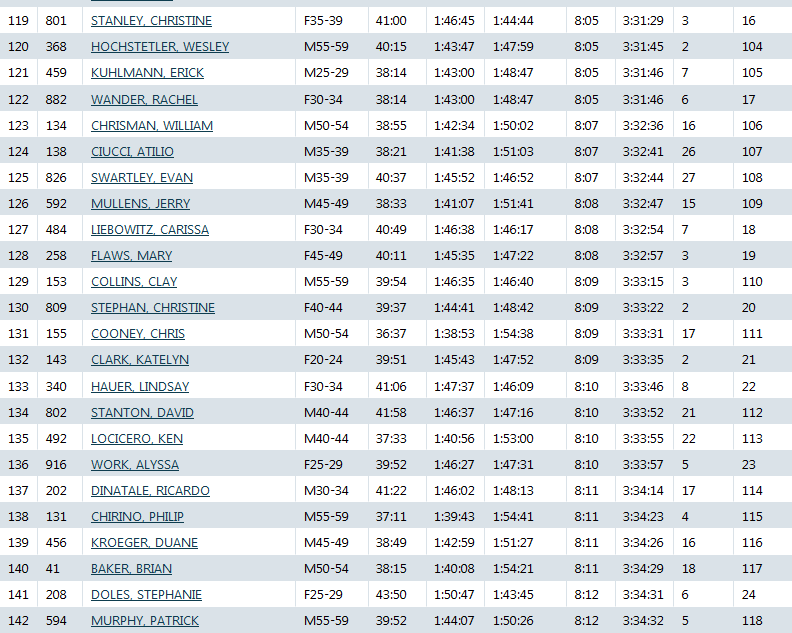 Plus, I came in 7th out of my F30-34 division (63 total), 18th female (348 total), and 127th (807 total) overall. There was so much more that happened after the race, but I'll just keep those memories near and dear in my heart. It was an extra special weekend and hanging with an old friend and a bunch of Loopsters after a BQ is positively one of the most fun things I've ever done. For now, I'll be enjoying the post-race glow and pinching myself occasionally to ensure that this really is a dream come true. Week 15: It's go time!!! !